French white wines are known f or their fresh acidity and lightness of touch. 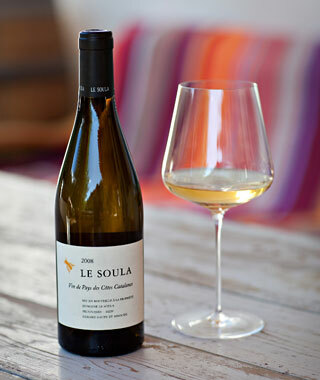 LE SOULA, our flagship, is a wine with great complexity, finesse and elegance. There is a dry white and a red Soula. Trigone is our blended wine. It is simple and very easy to drink. Its caracteristic is that it is a blend of vintages. There is a dry white and a red Trigone. This is direct presse of Syrah grapes.